With gloomy winter weather just around the corner, it’s the perfect time to treat yourself to a colorful accessory that will brighten the cold, cloudy days. And is there a better accessory than a bag? If you ask us, there most definitely isn’t. In fact, a nice bag can make anyone’s day great and everyone’s outfit stylish. 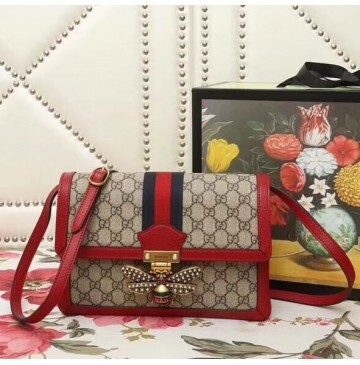 When it comes to bags, nobody does it as well as Gucci. If you already own some items from this iconic brand, then you know what we’re talking about. 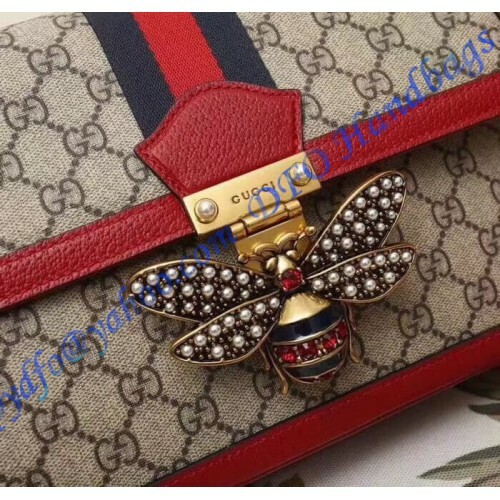 However, if you still haven’t got a Gucci piece, it’s high time that you did. 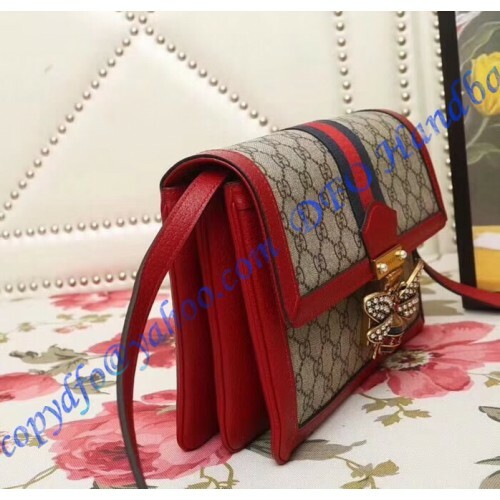 We guarantee that Gucci will win you over with their style and quality in a matter of seconds. Gucci is a synonym for style. 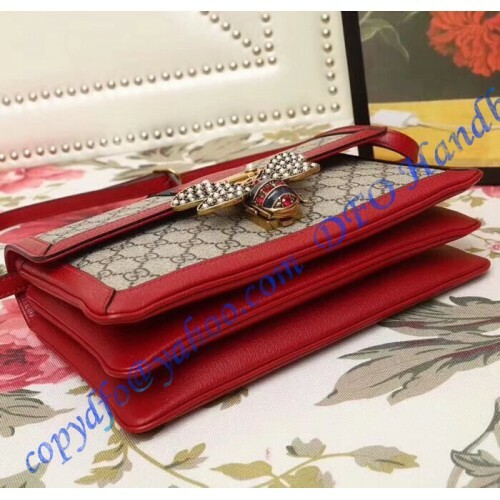 Check with any fashion lover and they will tell you that they have at least a dozen Gucci pieces in their wardrobe. It’s simple — there is no fashion without Gucci. Also, there is no fashion without accessorizing. So grab your wallet and get ready to shop — the ultimate Gucci bag is here and it could be yours. 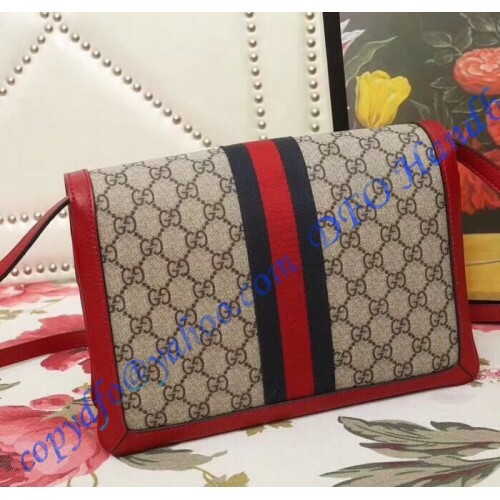 This medium shoulder bag with red leather trim by Gucci is every trendsetter’s dream. With the classic beige/ebony GG canvas as the base, it remains one of the classiest pieces out there. Moreover, the deep red trim gives the bag a unique appearance that will enhance all of your outfits, regardless of your personal style. The blue and red web complement the trim, making it even more prominent. Furthermore, the antique gold-toned hardware gives the Queen Margaret GG Supreme a luxurious appearance. Finally, the gold-toned metal bee with pearls and crystals finishes the bag, giving it a lavish and modern twist. 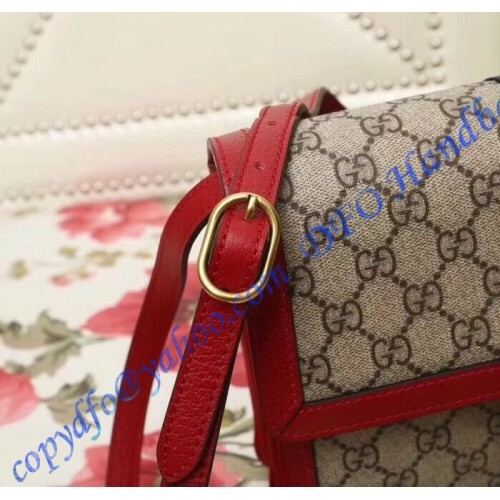 You can be sure that you will attract everyone’s attention with this unique bag! 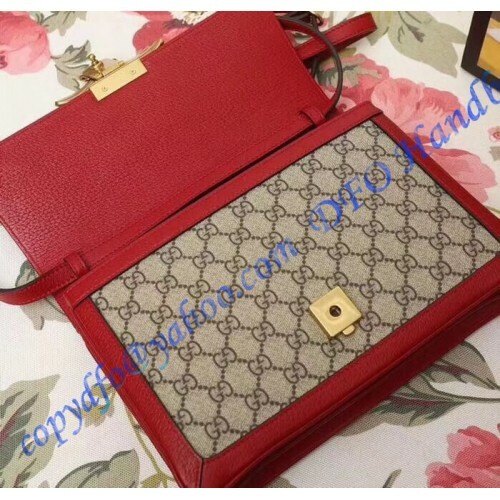 Plus, this Gucci bag isn’t only an eye-candy; it’s practical as well. Since it’s medium-sized (10.6 x 7.1 x 3.7 in), it provides ample space for all of your necessities without being too bulky. You can carry it on your shoulder and combine it with countless outfits. It is very versatile — you can carry it throughout the year, regardless of the occasion. 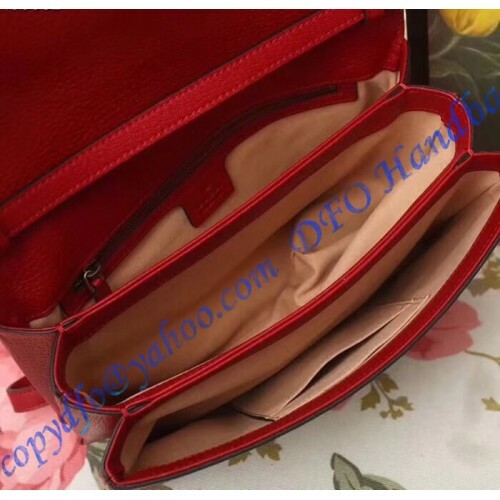 The interior features a zipper pocket, two smartphone pockets, three gussets, and a microfiber lining with a suede-like finish. The shoulder strap is adjustable; it has a 22” drop.